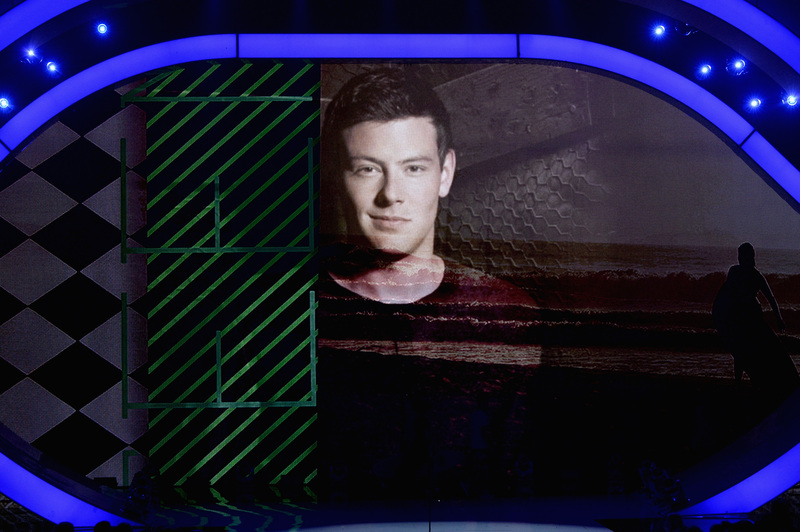 Glee fans nationwide might have expected the 2014 Grammys to snub its dearly departed star Cory Monteith — who passed away in 2013 following a heroin and alcohol overdose — but they probably didn't expect the Grammys to misspell Cory Monteith's name. But misspell it it did — in the awards show's final minutes, the Grammys aired an In Memoriam segment, which did include the singer... but spelled his name Cory Montieth. See below for evidence! It's hardly the first time that an awards show had botched an In Memoriam segment — in recent years, the Oscars, for one, snubbed stars like Andy Griffith, Larry Hagman, and Corey Haim. So, in the 2014 Grammys' case... at least the ceremony meant well? Glee fans should not be too upset, though — the tributes dedicated to the artist formerly known as Finn Hudson have yet to come to an end. The hit Fox series recently announced a portion of its much-touted 100th episode would be dedicated to Monteith, who was already mourned in 2013's "The Quarterback" episode. Now, the only question that remains following the Grammys' significant gaffe: Will the Oscars recognize Monteith's passing? Or should it be prepared to face the wrath of Glee fans everywhere?